Dedicated to Mina Gregori, the exhibition is curated by Sandro Bellesi and Anna Bisceglia, who also edited the richly illustrated catalogue published by Sillabe with contributions from illustrious students of Florentine 17th century painting. Thanks to this scholarship, much of which explores areas of Dolci’s art overlooked until now, it has been possible to reconstruct the artist’s “exact” career through the acquisition of hitherto unknown documents and the correct interpretation of the dates and inscriptions on some of his paintings, several of which had been erroneously transcribed even in recent studies. 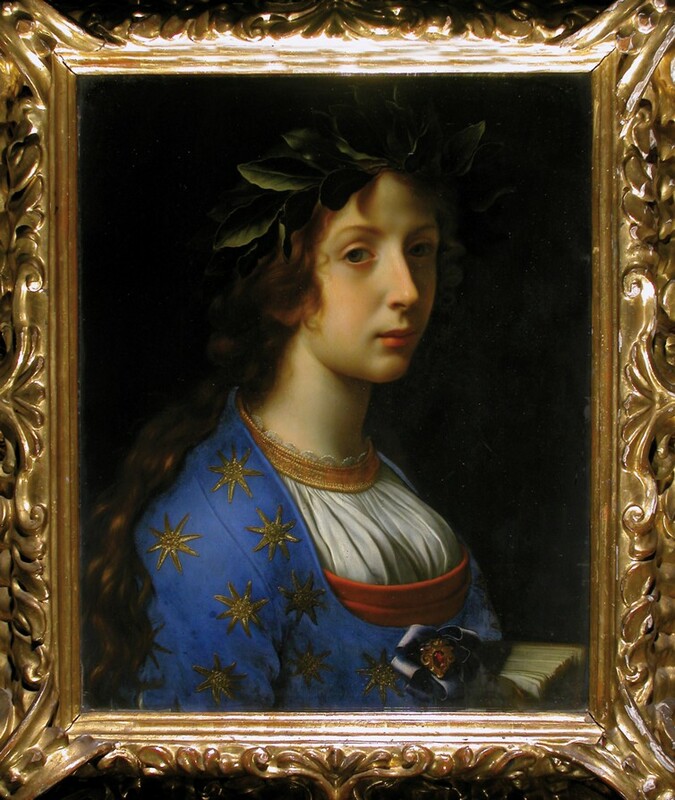 An artist lauded by the critics and biographers of his day for producing works unique in their genre, painted with unimpeachable diligence and with a descriptive stringency that one might almost call “hyper-realistic”, Dolci, was extremely popular with the most illustrious members of the Medici family and with the aristocracy of Europe in general. Dolci distinguished himself in the masterly definition of his figures – often captured in poses of ecstasy, bathed in a sort of moonlight that gives them a complexion reminiscent of the finest porcelain. He devotes an intriguing, nearly obsessive, attention to detail, from the soft, almost palpable fabrics of his figures’ clothing to their splendid jewels which, to quote his biographer Filippo Baldinucci, were “imitated in such an astounding (and real) fashion that, however much one might touch the canvas to make sure that they were in fact painted, the eye still harboured doubt”. To pay fitting tribute to this great master, almost one hundred paintings and drawings have been selected for the exhibition, to point up the lofty quality achieved by Dolci in the course of his career. His work is matched by painting and sculpture by other Florentine artists of his era, or a little earlier, and by a small but fascinating corpus of works which can be attributed to his pupils, who had the honour of preserving his style well into the 18th century. In its effort to shed light on the unique nature of Dolci’s art, the exhibition showcases works of the first order from some of Florence’s leading museums and from renowned public and private collections abroad, such as the British Museum in London, the Musée du Louvre in Paris, the Staatliche Museen in Berlin, the Nationalmuseum in Stockholm, the Cleveland Museum of Art in Cleveland, the Alte Pinakothek in Munich, the Fitzwilliam Museum in Cambridge, the Ashmolean Museum in Oxford, Burghley House near Stamford, the Musée des Beaux-Arts in Brest, the Museo Thyssen-Bornemisza in Madrid and last but by no means least in importance, the Royal Collection of Her Majesty Queen Elisabeth II, who has loaned for the occasion Dolci’s fabulous Salome with the Head of St. John the Baptist, which has never been shown in Italy before. It is worth highlighting the fact that a major restoration campaign was undertaken to coincide with the exhibition, focusing in particular on Dolci’s work in the Florence area in addition to the pictures in the Galleria Palatina and other Florentine museums, producing a total of 33 complete restorations and revisions.